I’ve just spent a couple of week in Aussie where things looked prosperous, however I was assured by those in the know that they are in fact on the cusp of a recession. 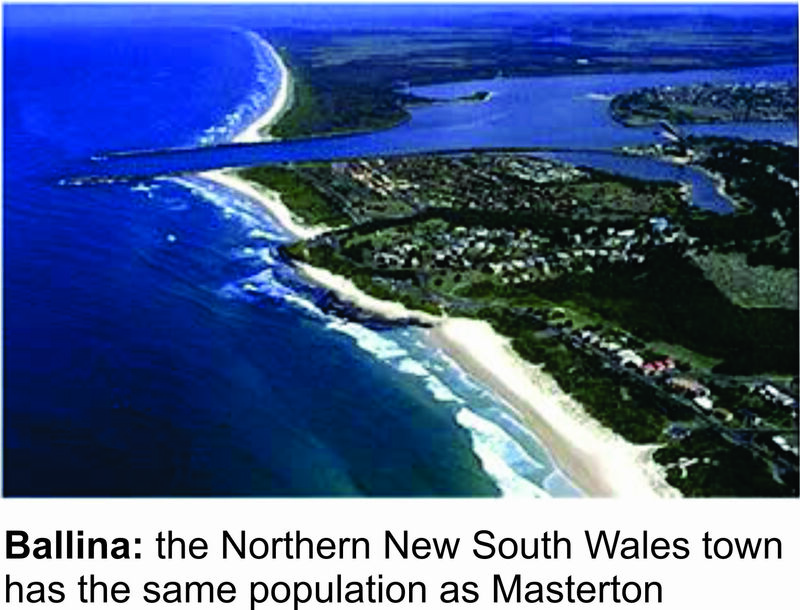 We spent a few days in a town called Ballina in Northern New South Wales where we have friends. 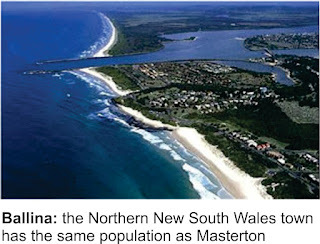 Ballina has an almost identical population to Masterton’s and so I was keen to make comparisons. The town has a main street about as extensive as ours, but it also boasts two quite large shopping malls. I spoke to two shopkeepers, one in the mall and one in the main street. Their rents seemed astronomical. The mall retailer was paying $11,000 a month for what I thought was a relatively small shop; the main street vendor had a shop considerably larger than the mall premise and was paying $63,000 a year. I have some knowledge of rents in Masterton’s retail area and would estimate that Ballina’s lessees are paying about three times more than they would here. Ballina’s main street had recently been revitalised with expensively-paved footpaths and attractive street lighting and the retailer told me his rates had gone up to pay for the improvements. His new rates however where way below what CBD property owners pay in Masterton. I’d no sooner got back when our Reserve Bank Governor lowered the cash rate to two per cent; an all-time low. As much as I don’t understand some of the economic discrepancies between Australia and New Zealand the methodology behind the Reserve Bank Governors approach to controlling inflation is even more confusing. My bookkeeping teachers at Wairarapa College taught us that the definition of inflation was “too much money chasing too few goods.” This was the prevailing wisdom at the time and seemed to make good economic sense. The government of the day managed its balance of payments account carefully and imports were limited, hence too few goods. Thanks to the Korean War, wool prices were at an all-time high, ergo, too much money. Fast forward to 2016 and inflation is now running at less than one percent and so we are looking at an entirely different set of circumstances. We now have too little money chasing too many goods, so how does that work? Our shops are chock full of all manner of merchandise, most of which is imported and much of it nonessential and yet incomes have remained pretty static for some time. The Reserve Bank legislation was originally enacted to lift interest rates to mop up any spare money that was floating around which suggests the definition of inflation hasn’t changed and yet by lowering interest rates savings are discouraged, property is king and house prices and rents are going through the roof. Perhaps there is method in the Reserve Bank Governors madness. If we all decided to start saving nobody would show up at the shops to spend. Consumption, which accounts for about 60 per cent of all economic activity, would go down and consequently so too would incomes and employment. No good looking across the Tasman for answers. Their cash rate is even lower than ours; and anyway, they reckon they’re going broke.